Hilary has been practicing or teaching dispute resolution for over 30 years. A former freelance journalist, she practiced civil and family law for 14 years before deciding to focus on dispute resolution theory and skills. She established Riverdale Mediation Ltd. in 2000, a Toronto family mediation, arbitration, parenting coordination and training practice that also provides supervised internships to family mediation students. Hilary is honoured to have been selected to provide government-funded family information and mediation services in Toronto’s Superior Court of Justice at 393 University Avenue and its two Ontario Court of Justice courts at 311 Jarvis St. and 47 Sheppard Avenue in North York. Through mediate393, mediate311 and mediate47, she and several teams of outstanding professionals provide mediation and information services to separating couples in the courts, and subsidized family mediation to all separating couples who seek the service. She is dedicated helping the public access these affordable and high quality services and to developing, mentoring and growing a highly skilled and diverse roster of professional mediators and information & referral coordinators to assist the public. In this role she and her management and service teams at 47 Sheppard Ave., 311 Jarvis St. and 393 University Ave. work closely with other service providers including Legal Aid Ontario, the Family Court Support Worker program, and many family service agencies supporting families in each court. A significant focus of Hilary’s work is exploring the impact that imbalances of negotiation power and domestic violence have on dispute resolution, gaining knowledge and skills to manage them and sharing her expertise with colleagues. To contribute to a vibrant family dispute resolution community that emphasizes the importance of these dynamics, Hilary and three colleagues co-founded the Family Dispute Resolution Institute (FDRIO) in 2014 which now offers several professional designations and Standards of Practice that built on the “do no harm” principle. 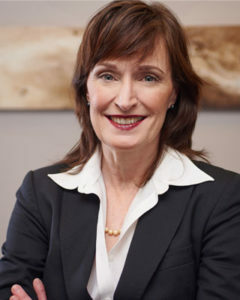 She is a past Director of the Ontario Association of Family Mediation (OAFM), a Founding Member of Collaborative Practice Toronto and a former chair of the Ontario Bar Association (OBA) ADR Section. She is a long time supporter of Family Mediation Canada (FMC) and the Association of Family and Conciliation Courts. Hilary holds professional designations with FMC, FDRIO, the OAFM, and the ADR Institute of Ontario. She is the 2014 recipient of the OBA Award of Excellence in ADR. Her other passions include her two children, backcountry hiking, canoe tripping and teaching cross-country skiing as a certified instructor.